My heart yearns for those lives lost in the Oklahoma tragedy... for the little souls dimmed before their time. I can't even begin to imagine how loved ones are dealing with this, my mind just can't comprehend the amount of grief they must be feeling, the suddenness of it all. Another reminder that life is precious and not guaranteed. Please hold your loved ones close, tell them that you love them daily. The saying "live each day as if it were your last" stands true. 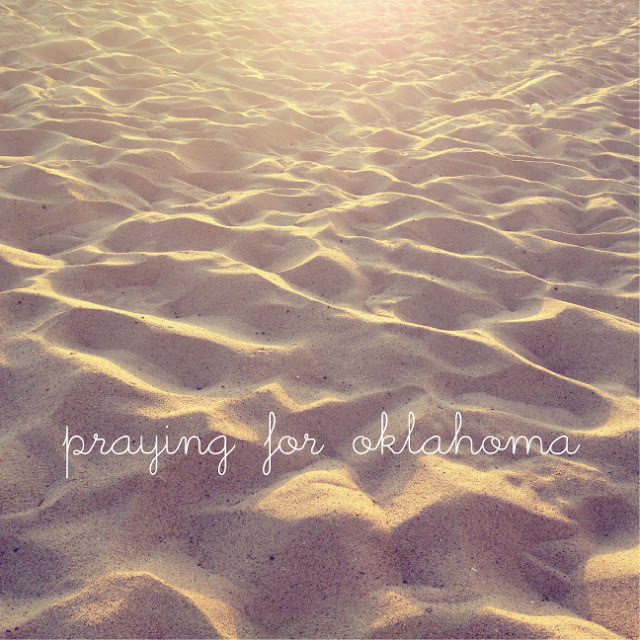 My thoughts and prayers are with you all, the people of Oklahoma. It is time to come together as a nation once again and lend a helping hand to those in need. Oklahoma needs us, let's show them there is hope. *Update: hello merch is giving 100% of the proceeds for this cute tank to the OK relief fund. Help out and be fashionable, I like it!